Astronaut Neil Armstrong took humanity's first steps on the moon on July 20, 1969. 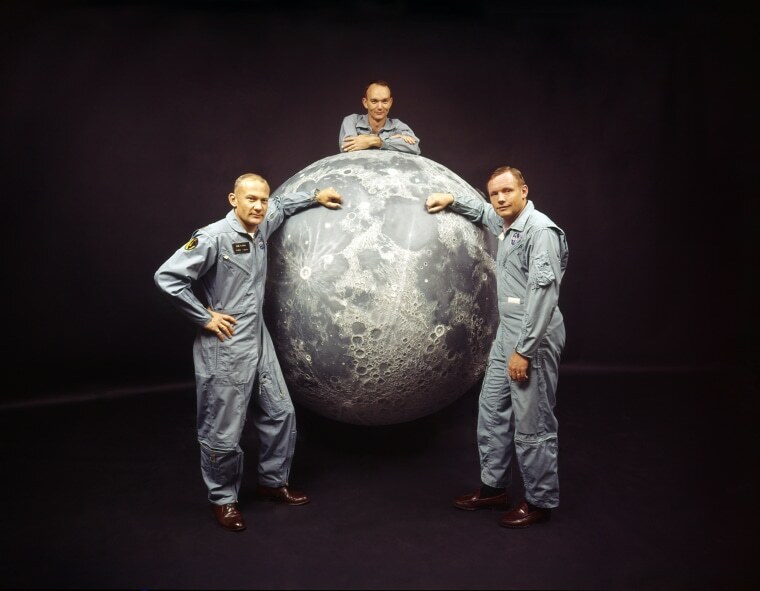 The crew of NASA's Apollo 11 mission, from left, Edwin "Buzz" Aldrin, Michael Collins, and Neil Armstrong, pose with a model of the moon in 1969. 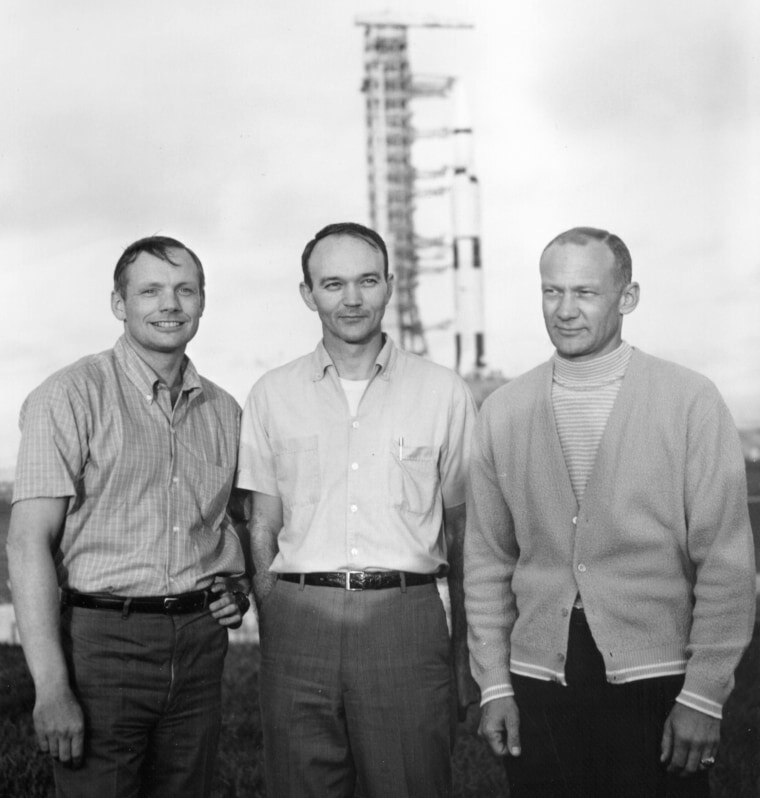 Armstrong, Collins and Aldrin pose in front of their Saturn V rocket on May 20, 1969. 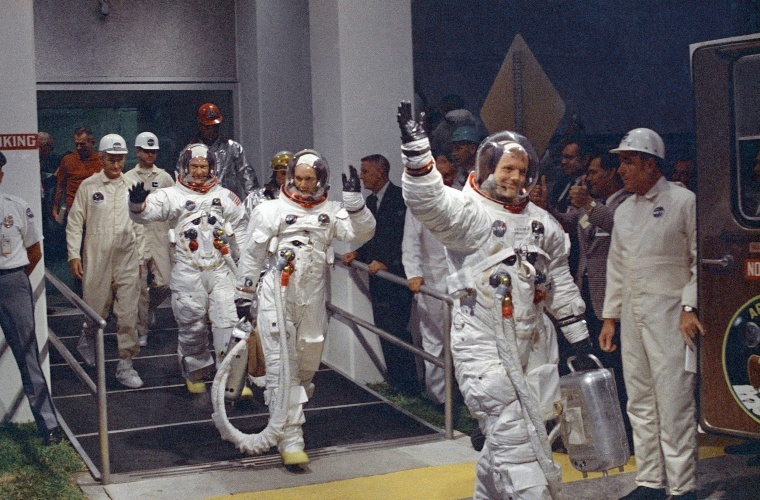 Neil Armstrong, front, waves as the crew heads to the van that will take them to the rocket for launch at the Kennedy Space Center in Cape Canaveral, Florida, on July 16, 1969. 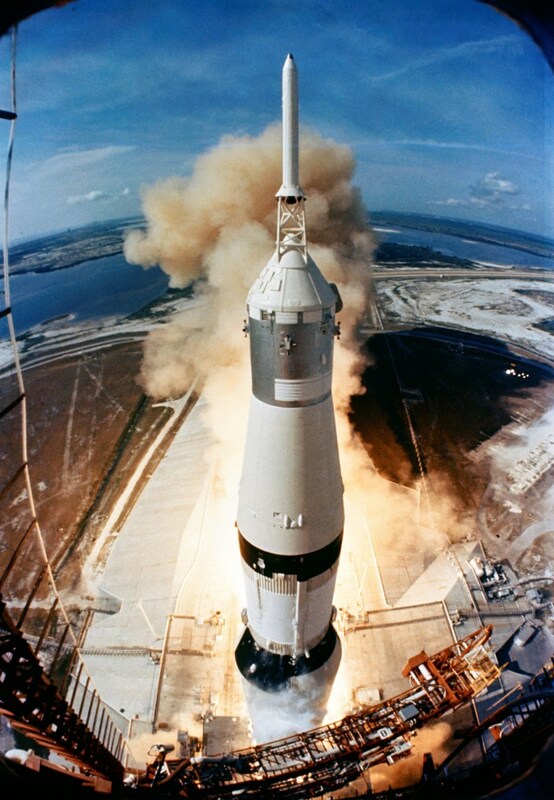 The Saturn V rocket launches from Pad A, Launch Complex 39, at the Kennedy Space Center at 9:32 a.m. on July 16. One of the largest machines ever built, the 363-foot rocket was as tall as a 36-story building. 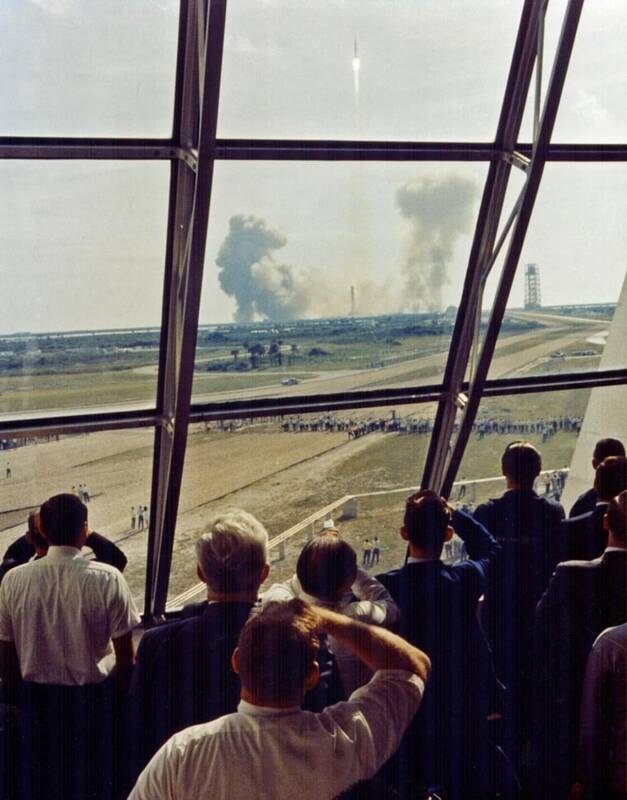 Personnel within the Launch Control Center watch the Apollo 11 liftoff. The LCC is located 3.5 miles from the launch pad. 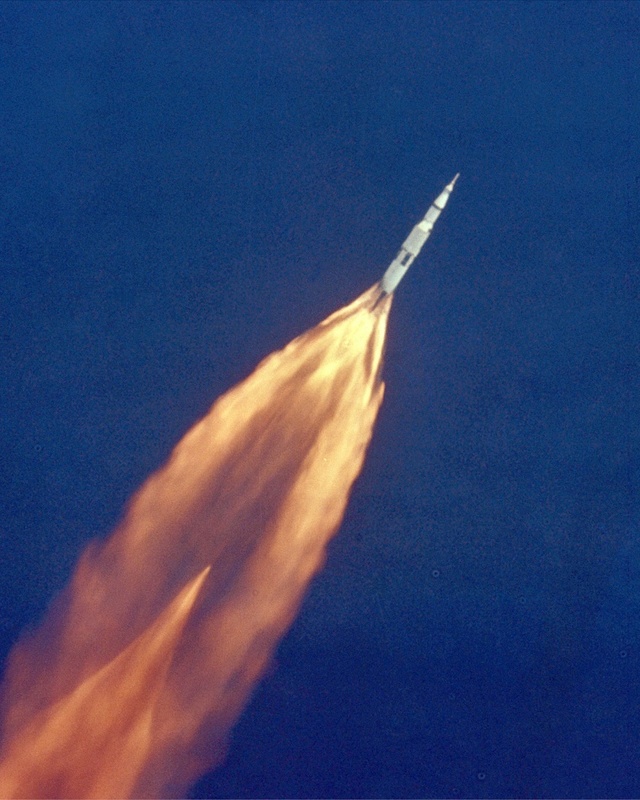 The Saturn V rocket climbs into orbit. Most of Africa and portions of Europe and Asia can be seen in this photograph taken on July 17 from the Apollo 11 spacecraft during its trans-lunar coast toward the moon. 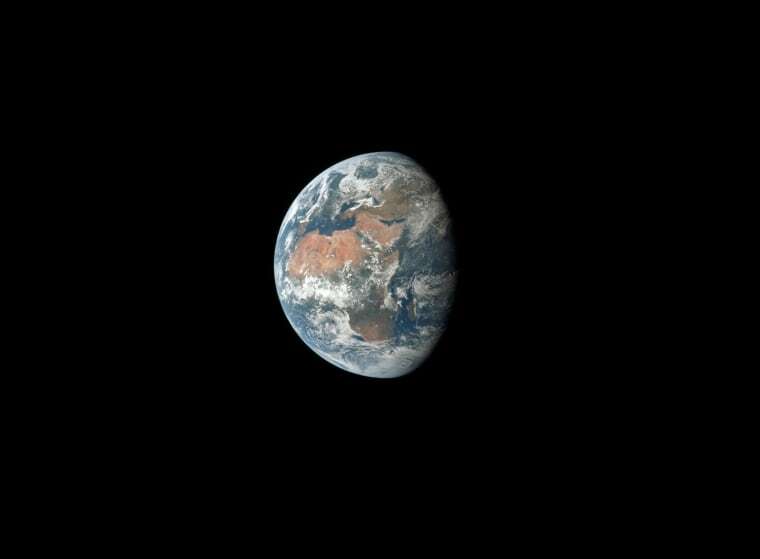 Apollo 11 was already 98,000 nautical miles from Earth when this picture was made. In this view from the Eagle module, the command module pulls away just before the astronauts land on the moon. 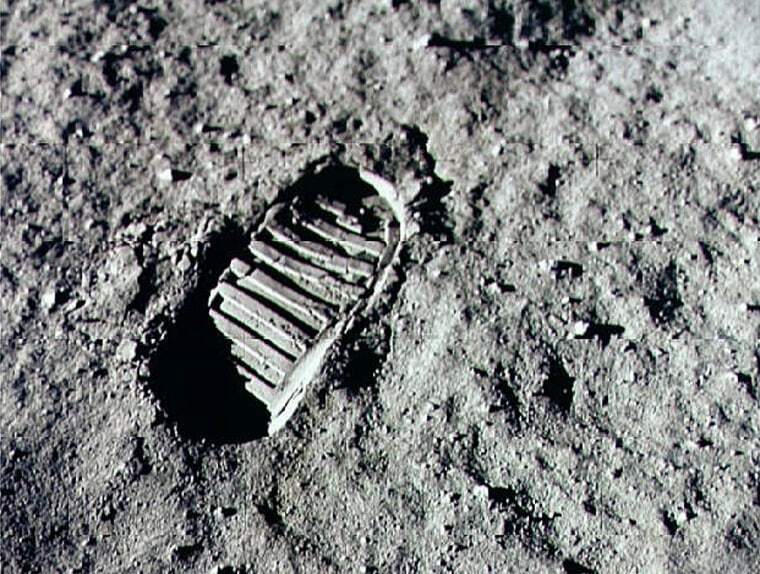 Neil Armstrong stepped into history on July 20, 1969, leaving the first human footprint on the surface of the moon. 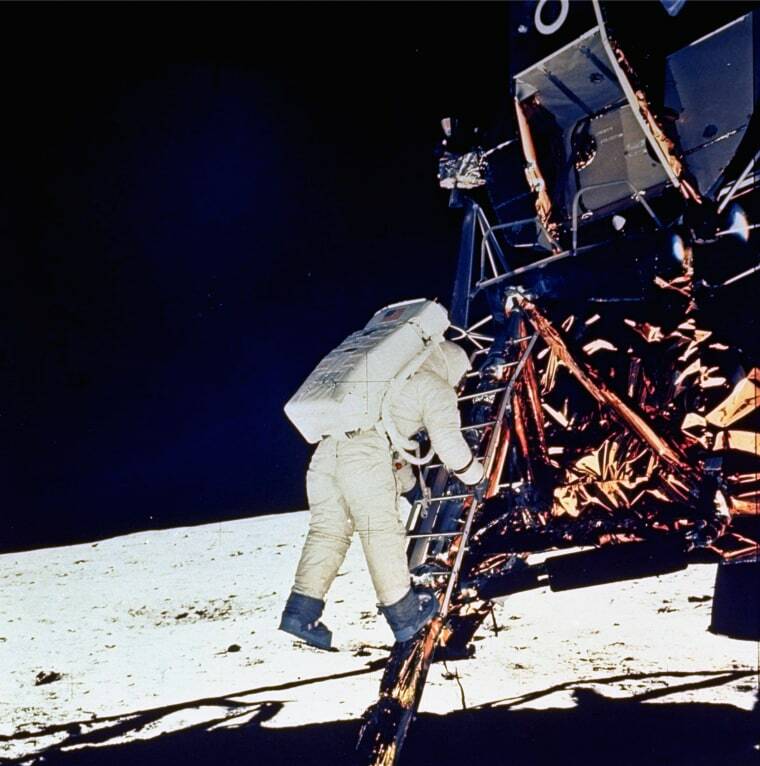 "That's one small step for man, one giant leap for mankind," Armstrong is famously quoted as saying after walking on the moon, but in interviews he claimed that he meant to say "one small step for a man." Buzz Aldrin, the lunar module pilot, descends the module's ladder as he prepares to walk on the moon. 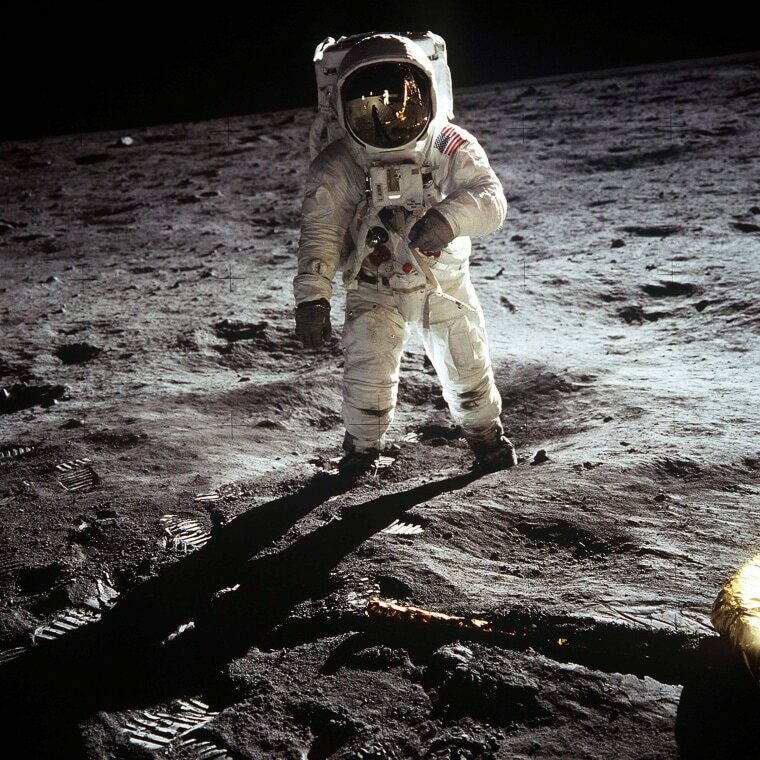 Buzz Aldrin stands on the moon next to the lunar module, dubbed the "Eagle," on July 20. 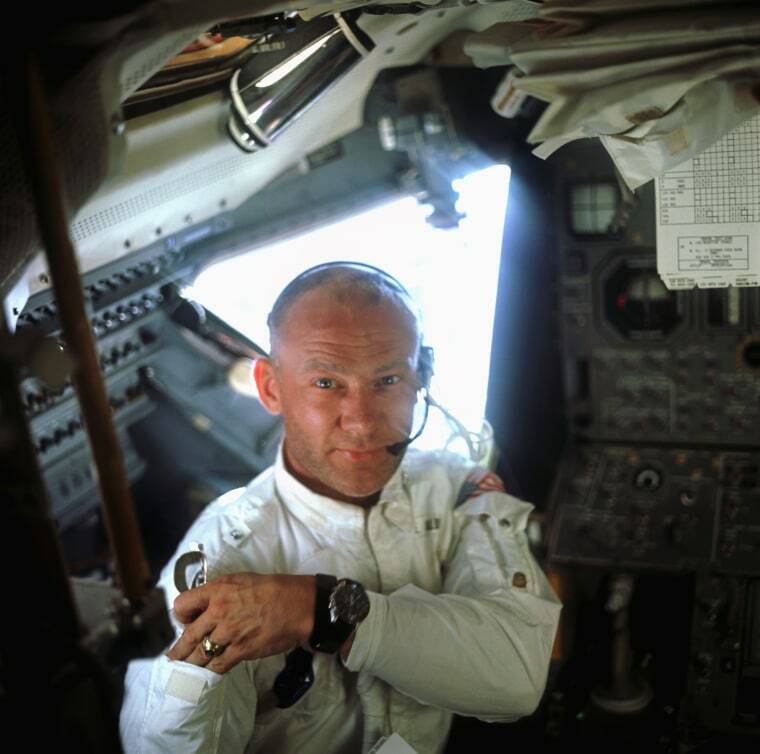 Armstrong can be seen taking the picture in a reflection on Aldrin's visor. 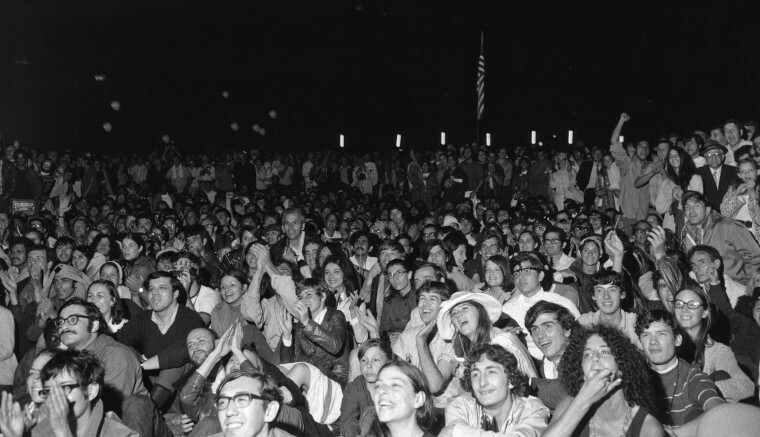 An estimated 10,000 people gathered in New York City's Central Park to watch giant television screens and cheer as Armstrong took his first steps on the moon. 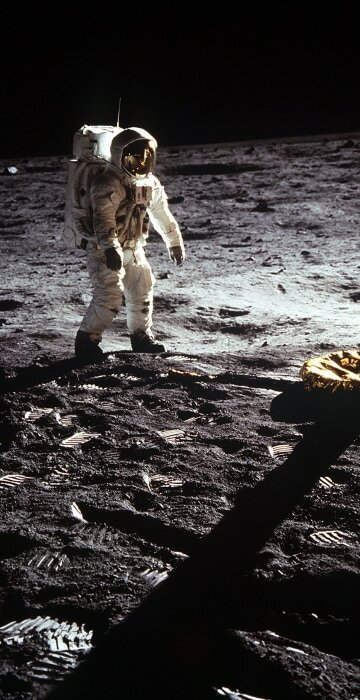 An estimated 530 million people worldwide watched Armstrong step onto the lunar surface. Aldrin, pilot of the lunar module, poses beside the deployed U.S. flag during "extravehicular activity" on the lunar surface in an area called the Sea of Tranquility on July 20. 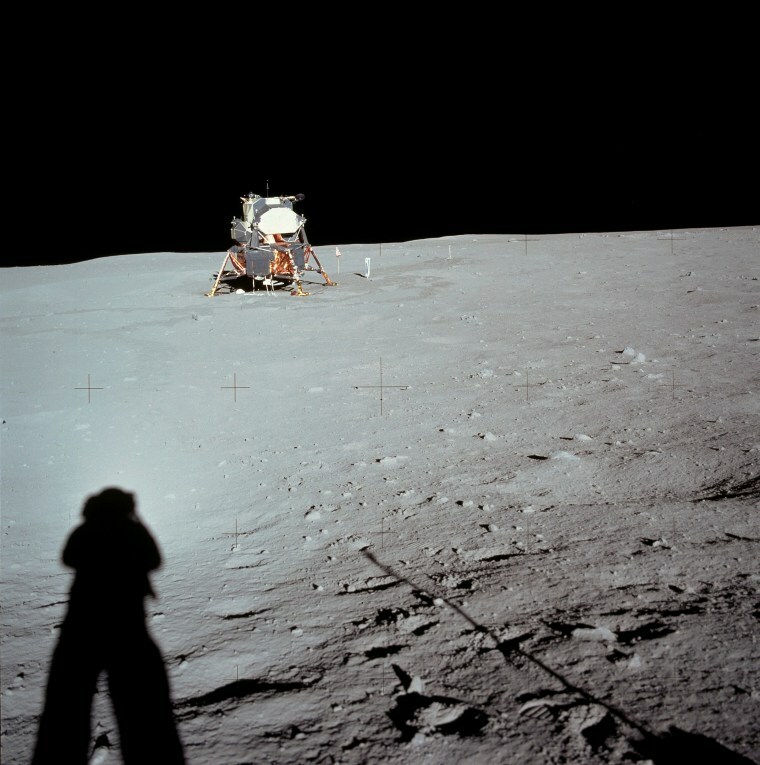 Armstrong takes a photograph of the landing site and the lunar module. 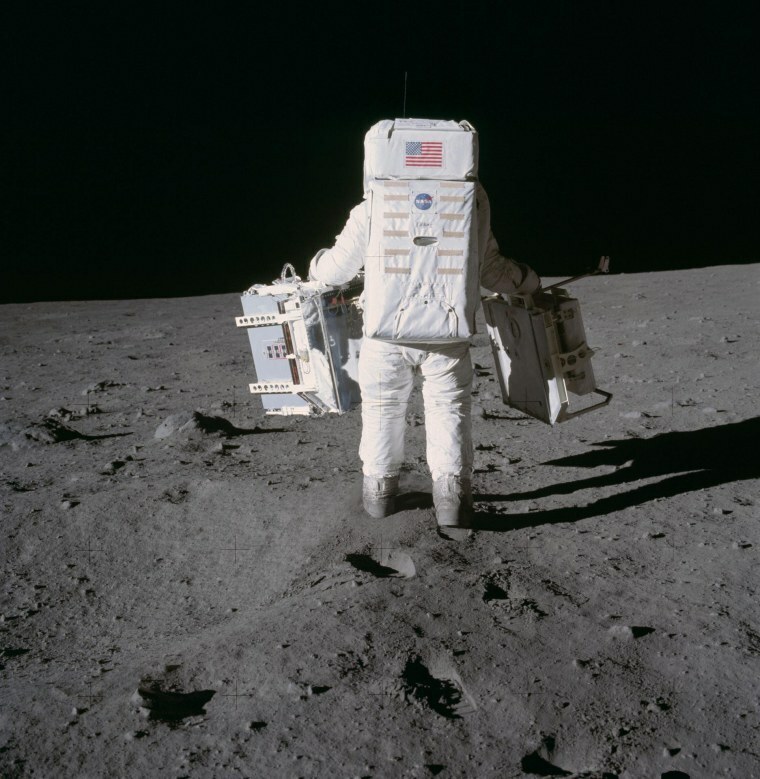 Aldrin moves toward a position to deploy two pieces of research equipment. The Passive Seismic Experiments Package is in his left hand and in his right is the Laser Ranging Retro-Reflector. 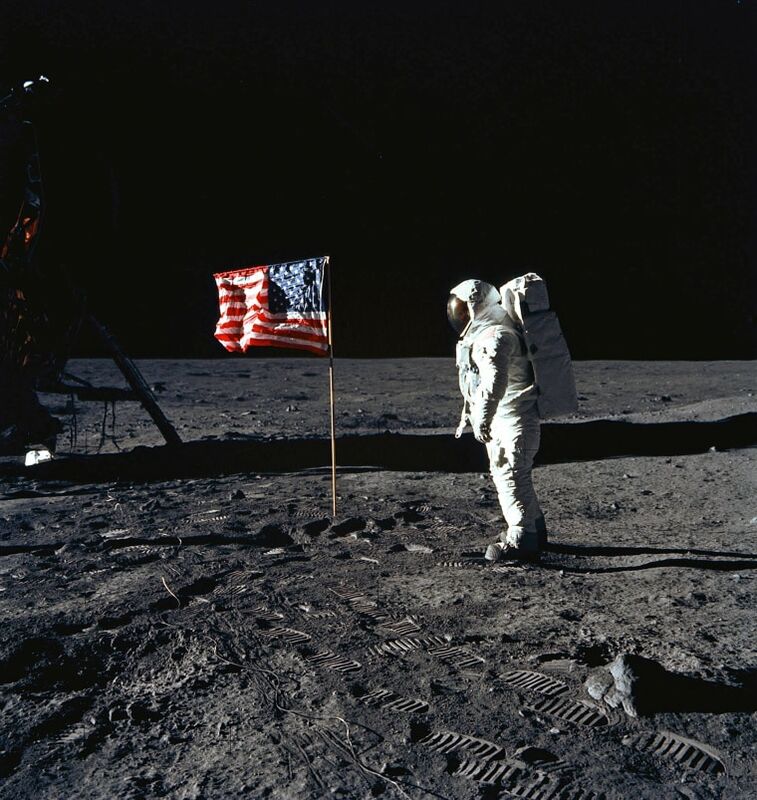 Armstrong and Aldrin spent 21 hours, 36 minutes on the moon's surface. 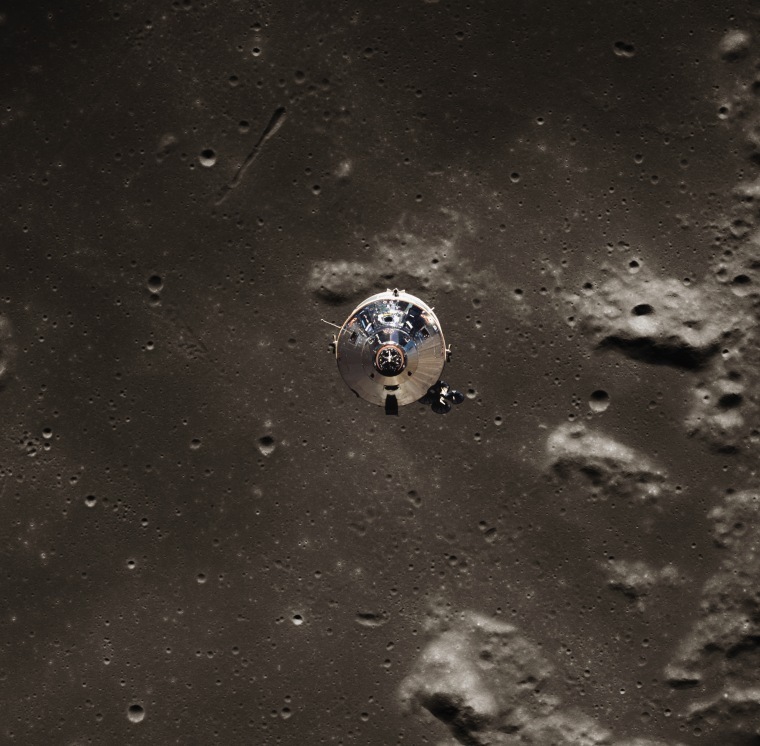 The crew collected 47 pounds of lunar surface material which was returned to Earth for analysis. The surface exploration was concluded in 2½ hours. 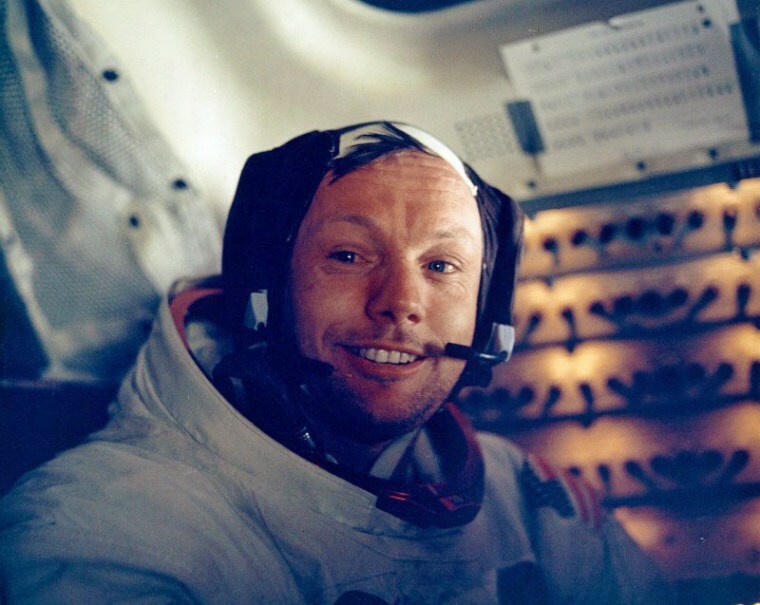 Armstrong inside the lunar module after his historic walk on the surface of the moon. Armstrong died in 2012 at age 82 following complications resulting from cardiovascular procedures. Aldrin handles his sunglasses aboard the Eagle on the lunar surface just after the first moonwalk. 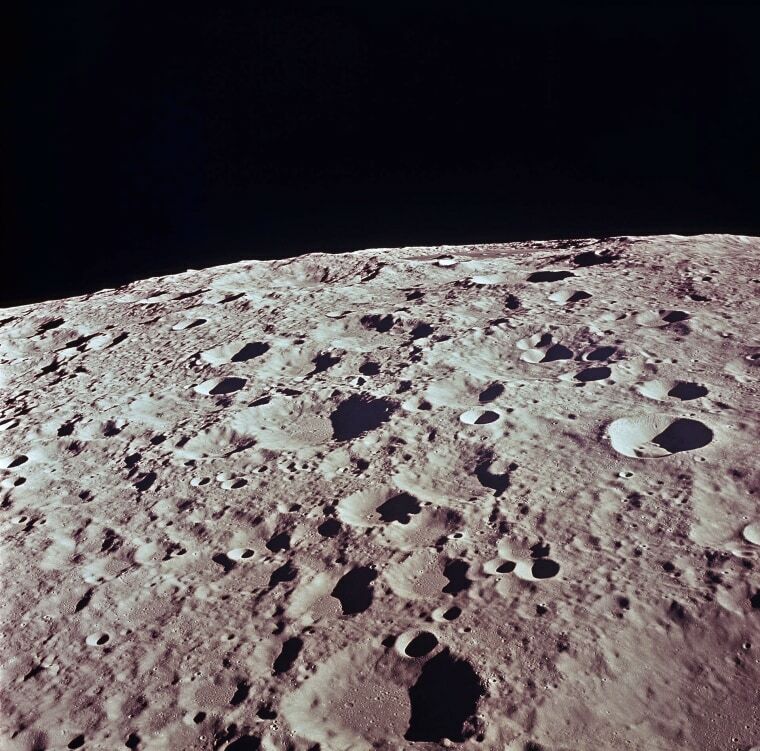 Craters on the moon's far side in an image captured from the Apollo 11 spacecraft in lunar orbit. The far side is the hemisphere that always faces away from Earth. 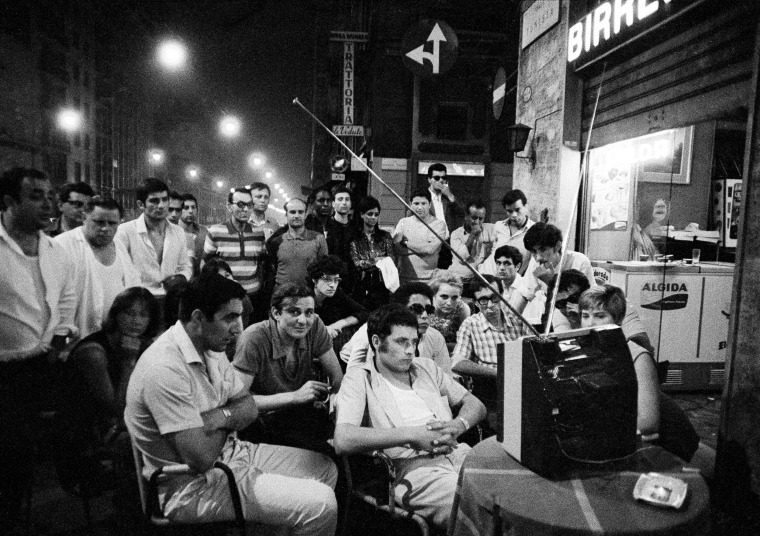 Italians watch the moon landing at a sidewalk cafe in the center of Milan. The Apollo 11 lunar module ascent stage, carrying Armstrong and Aldrin, is photographed from the Command and Service Module (CMS) as the lunar module approaches for docking on July 21. 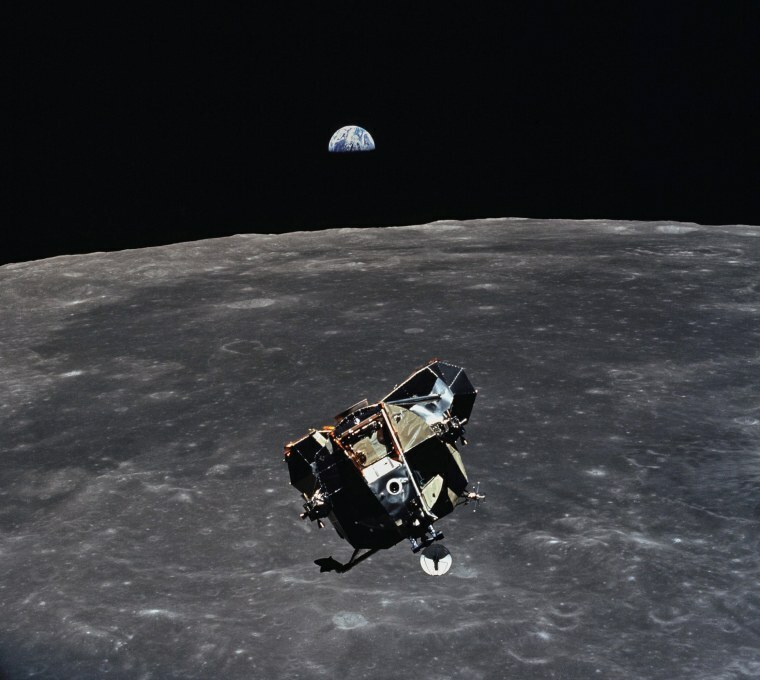 Michael Collins remained with the CSM in lunar orbit while the other two crewmen explored the lunar surface. 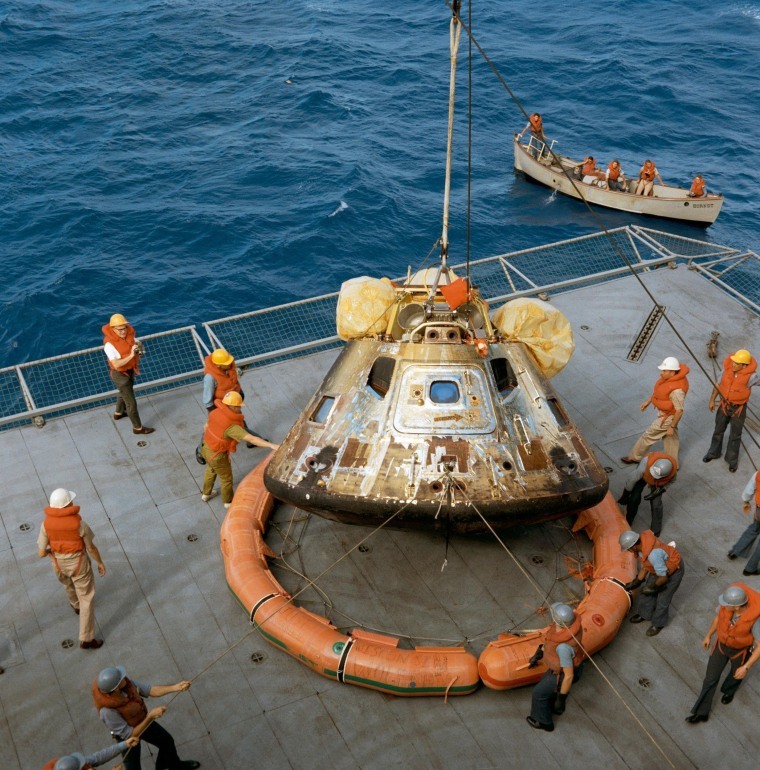 The command module is lowered to the deck of the USS Hornet during its recovery. The flotation ring attached by Navy divers has been removed from the capsule. The capsule safely returned to Earth on July 24, 1969. 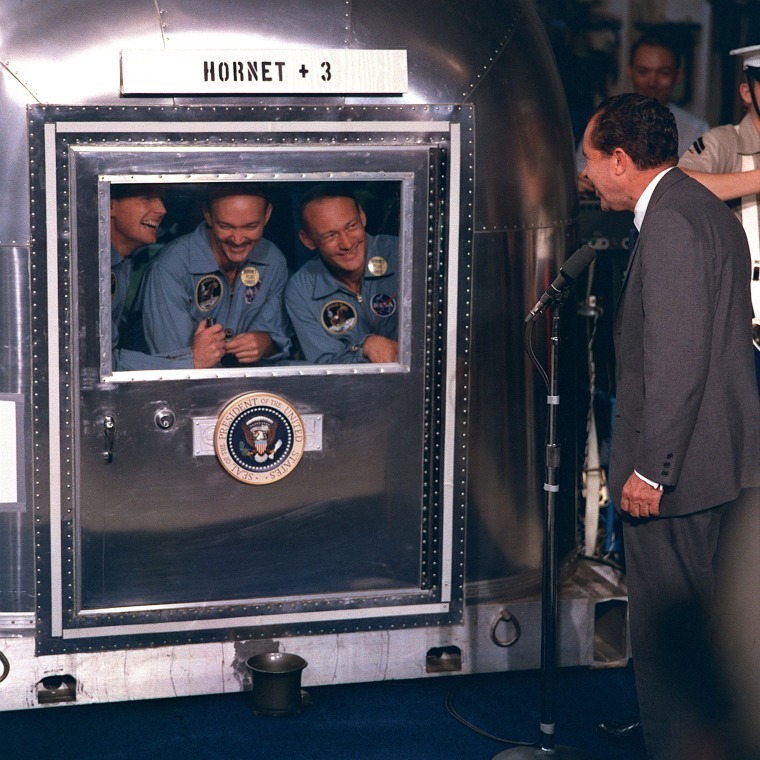 President Richard M. Nixon welcomes the Apollo 11 astronauts, confined in a quarantine facility aboard the USS Hornet.